REO Speedwagon is an American rock band. Formed in 1967, the band grew in popularity during the 1970s and peaked in the early 1980s. Hi Infidelity is the group's most commercially successful album, selling over ten million copies and charting four Top 40 hits in the US. Over the course of its career, the band has sold more than forty million records and has charted thirteen Top 40 hits. 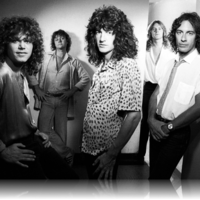 REO Speedwagon's popularity has declined over the years but the band still tours regularly, and remains popular on the fair and casino circuits and teams up with other acts to play larger venues. In summer 2010, the band – then touring with Pat Benatar – announced that it will release a 30th anniversary deluxe edition reissue of Hi Infidelity.